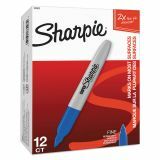 Super large ink supply for extended life. 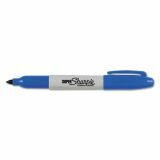 Sharpie Super Permanent Marker, Fine Bullet Tip, Blue, Dozen - Super Sharpie marker features a bold fine point that makes permanent marks on most hard-to-mark surfaces. 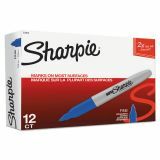 The bold, fine tip creates indelible marks, and a super large ink supply extends product life. 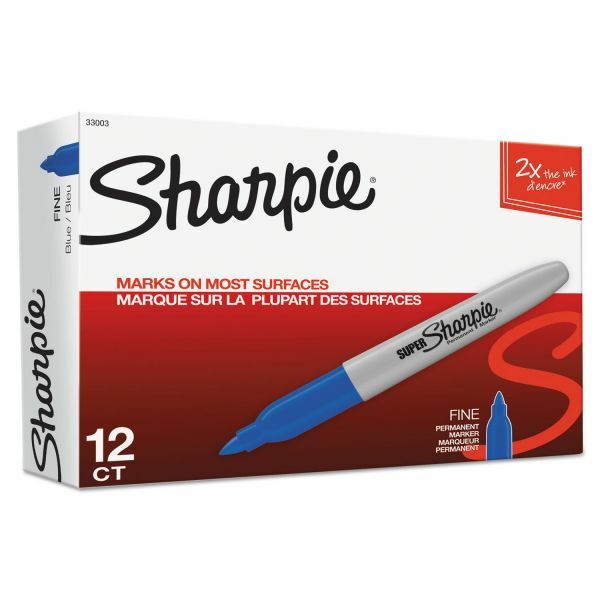 Fade-resistant and water-resistant ink makes it ideal for multiple project uses. 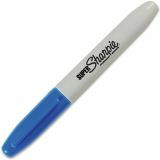 Alcohol-based ink formula is quick-drying and nontoxic. Colorful options; available in three bold colors.